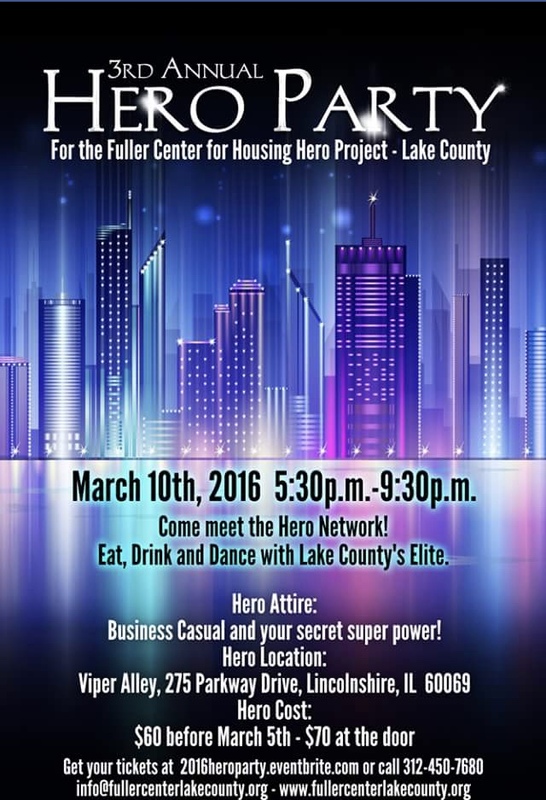 I hope you can join me tonight in building something Lake County has never seen before. I am so honored to be part of the FULLER CENTER HERO PROJECT. I met Yvette Ewing, the Executive Director of the Fuller Center for Housing Lake County earlier in the year as we are both members of Liberty Prairie Foundation's "Lake County Local Food Task force". She asked me about a month ago to join her Wellness Hero team and help her build a mobile teaching kitchen that would service all of Lake County. And of course, I said YES! If you cannot join us this evening and would like to be a part of building this Hero Table together, please visit here as every donation will help us build it! Have a great weekend all of YOU food revolutionaries! !